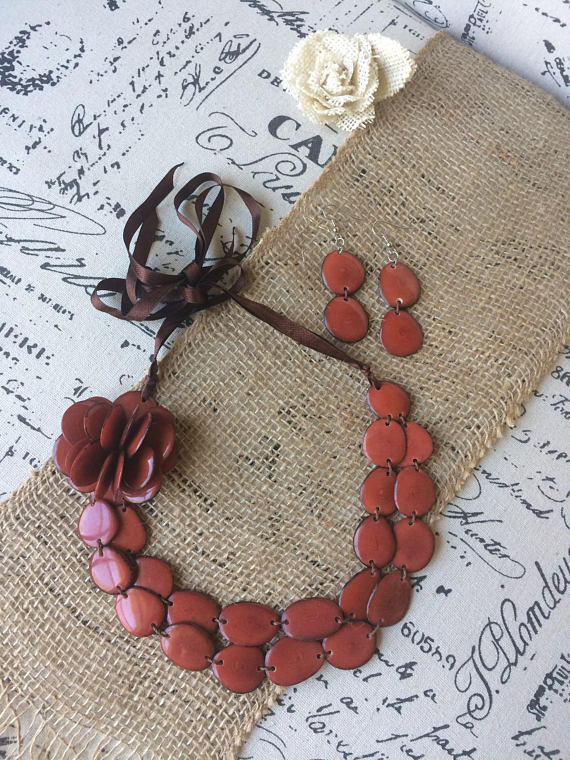 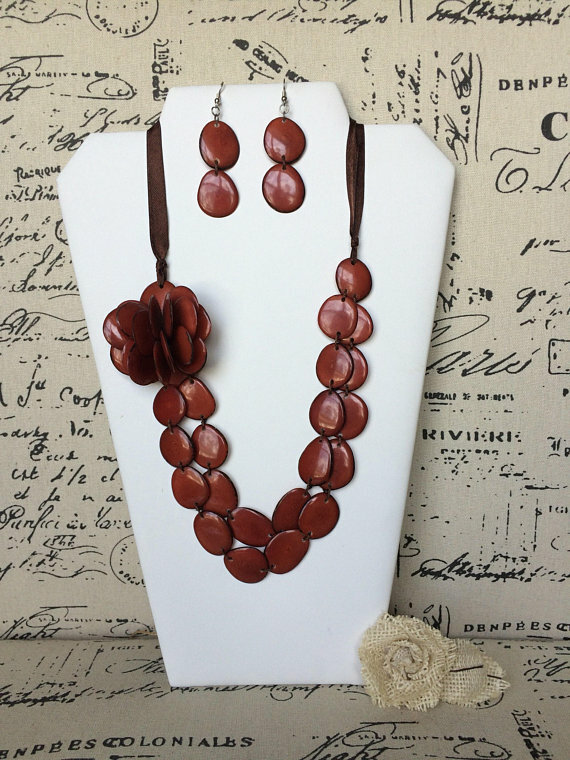 This stunning set has a statement bib Necklace, that features a beautiful flower, it pairs perfectly along with dangle earrings made of thin Tagua slices. 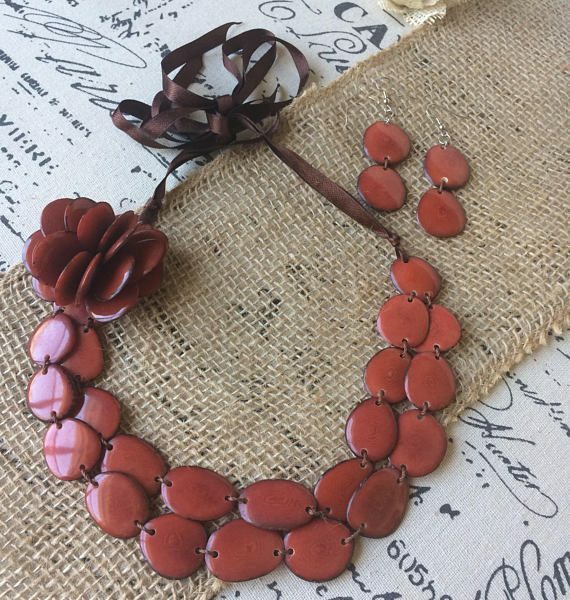 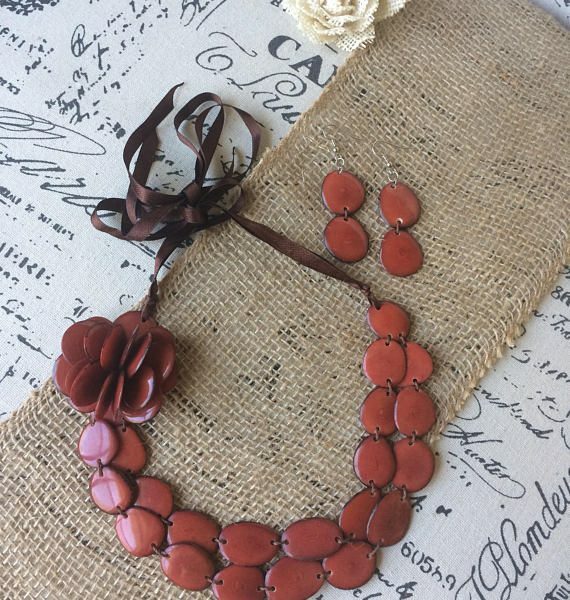 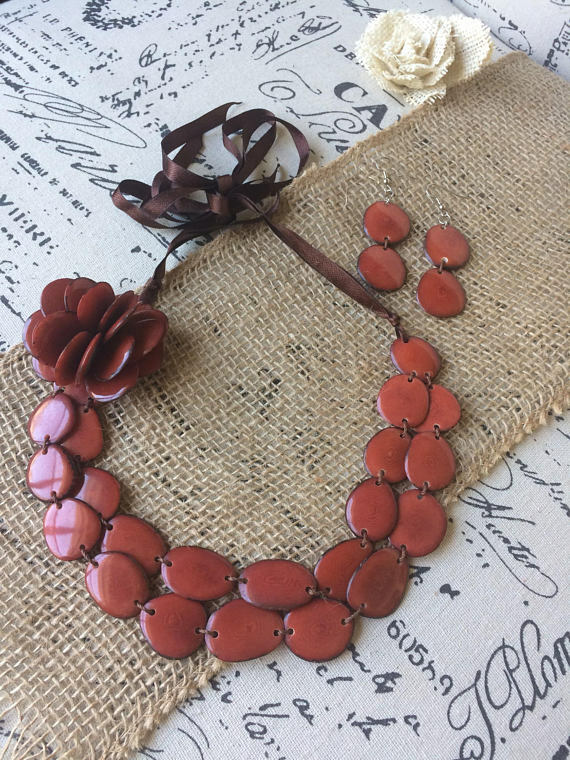 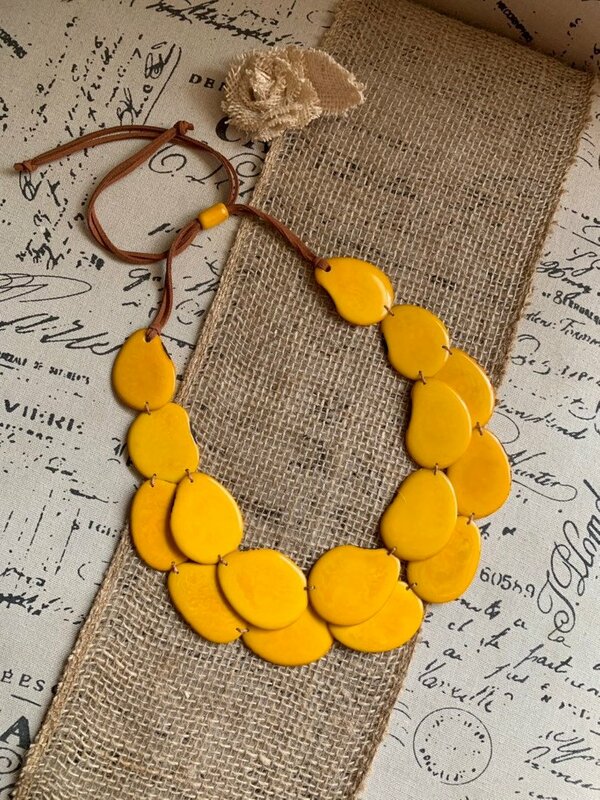 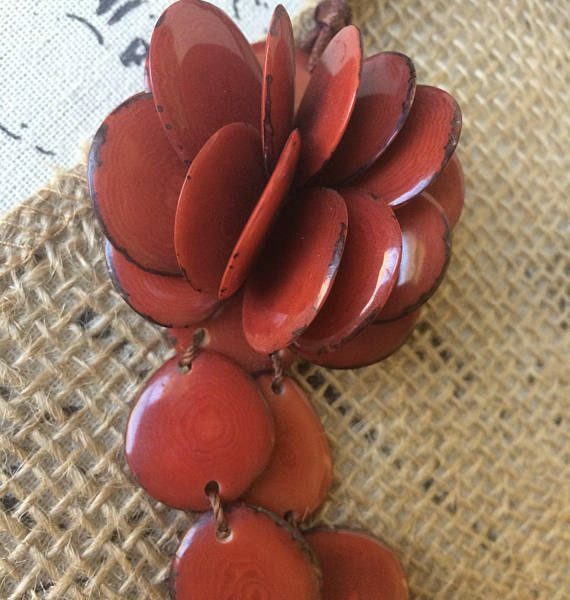 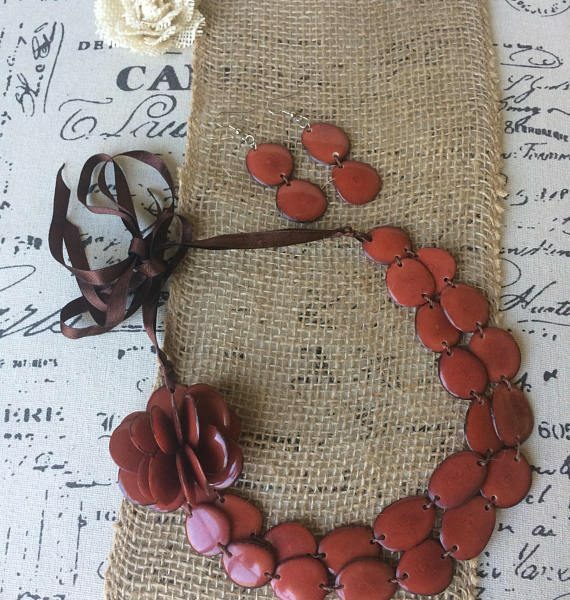 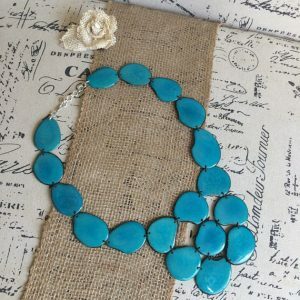 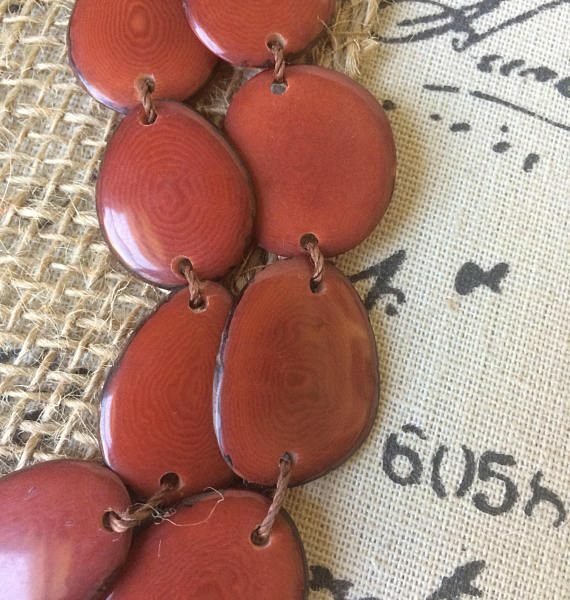 The necklace is made out of thin Tagua slices (each slice is 1 inch long approximately they have been sewn together and held by an adjustable jewelry ribbon. 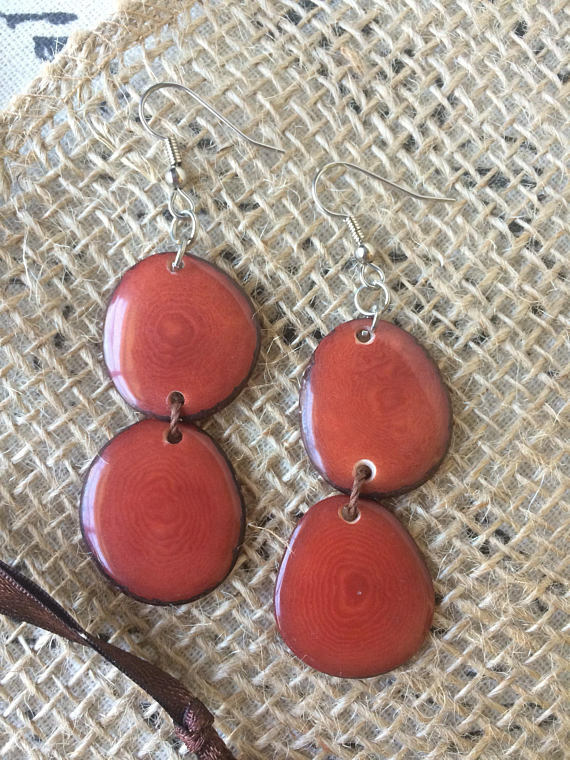 The dangle earrings are 2 inches long ( 5 cm) approximately. 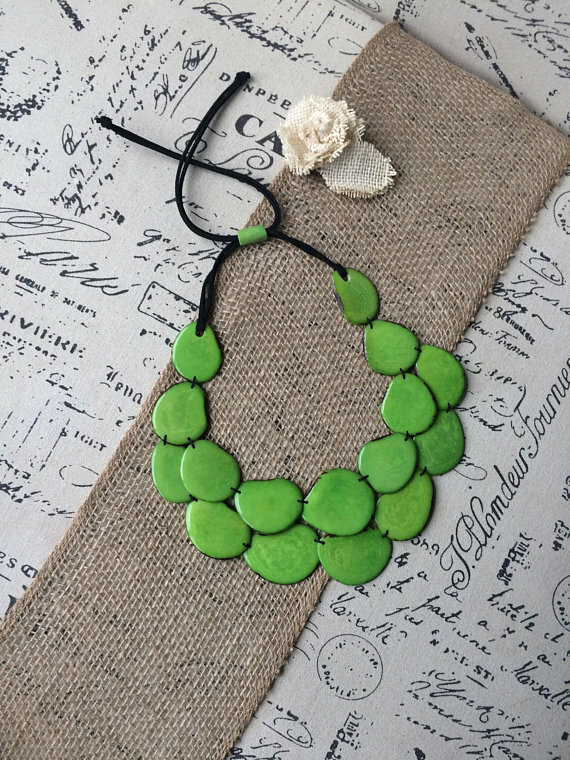 This chunky necklace is lightweight, thus very comfortable to wear. 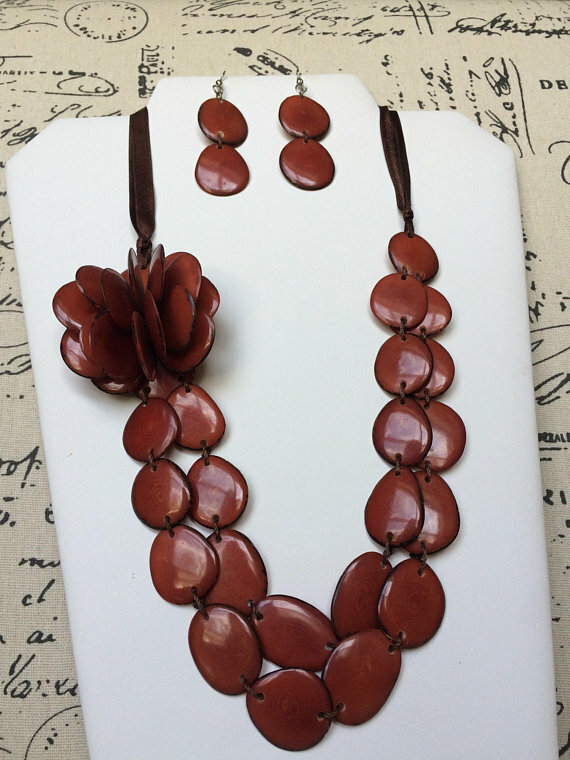 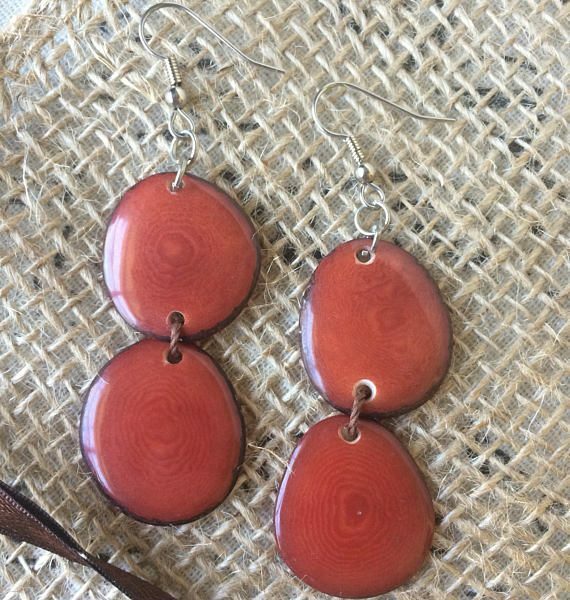 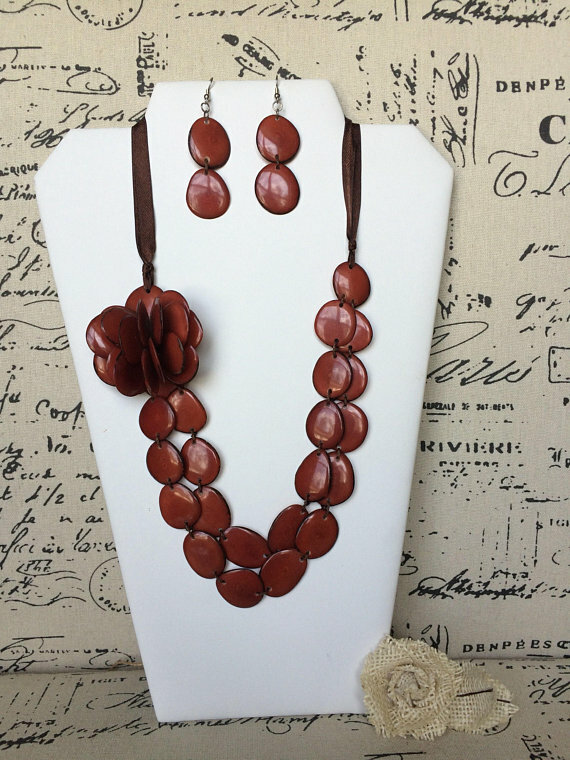 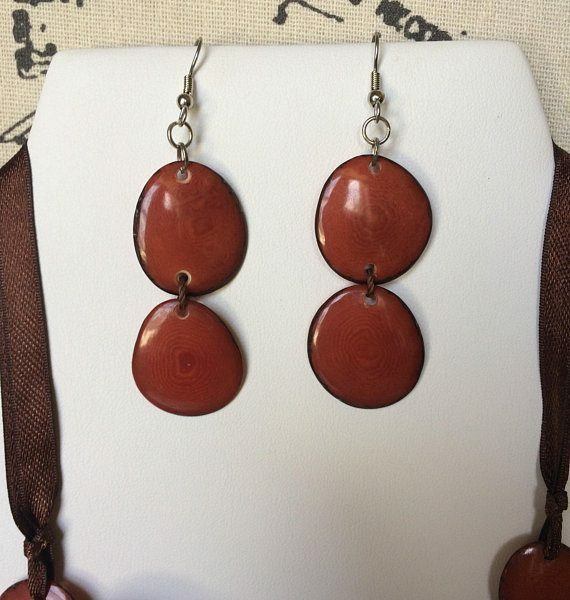 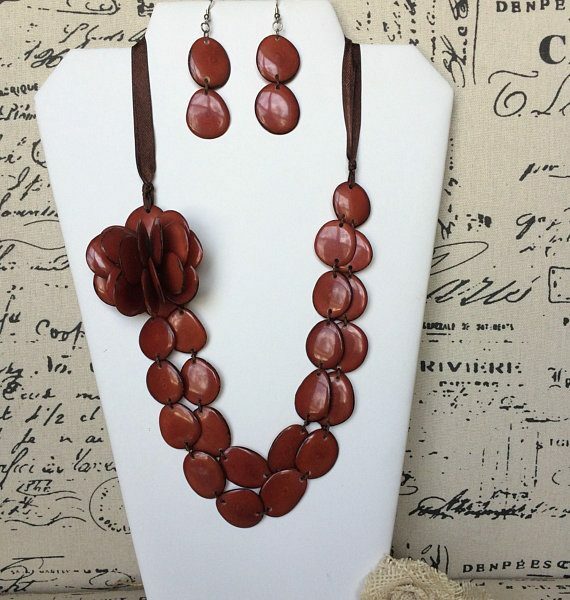 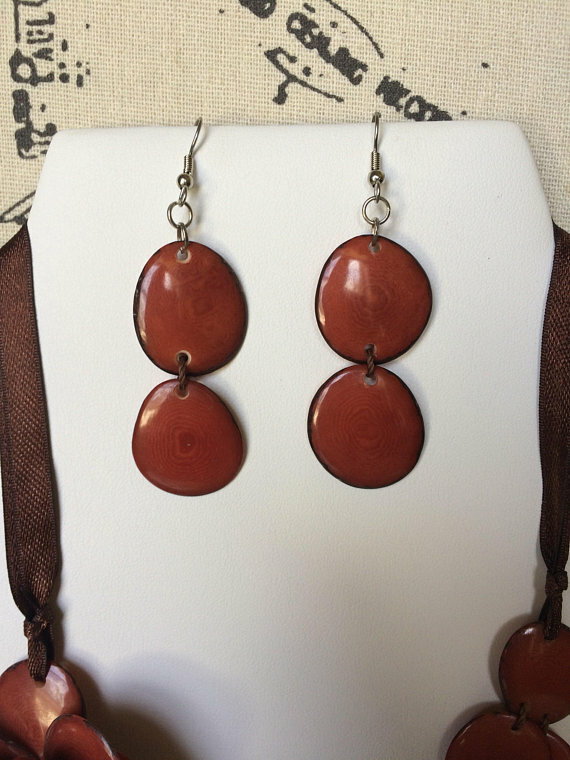 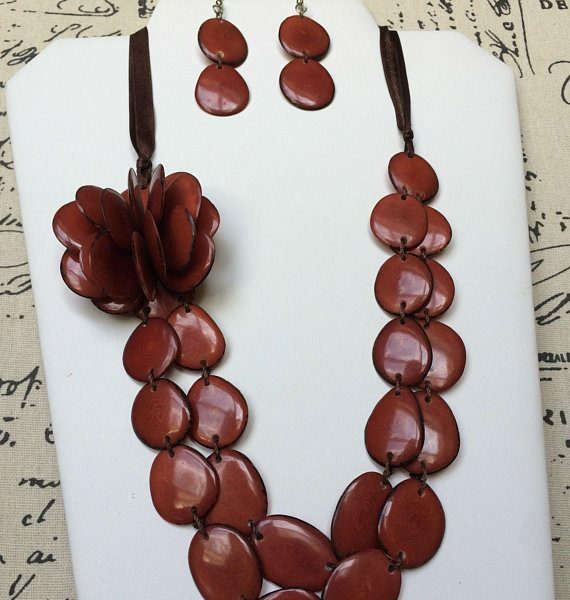 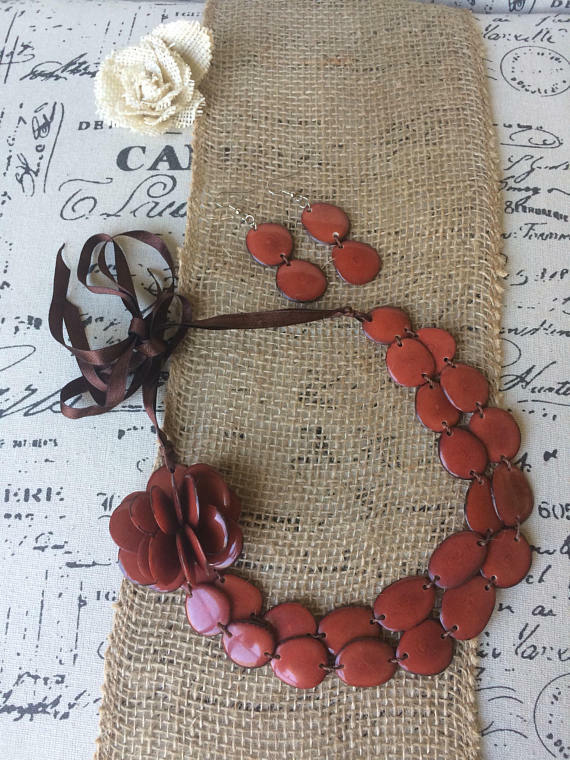 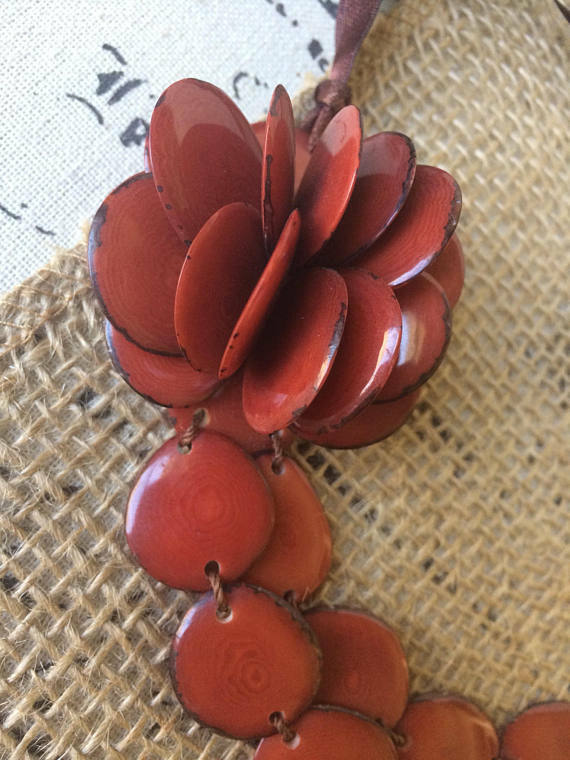 Each piece has been carved, leaving some of the brown Tagua skin, giving this set a very natural and rustic look. 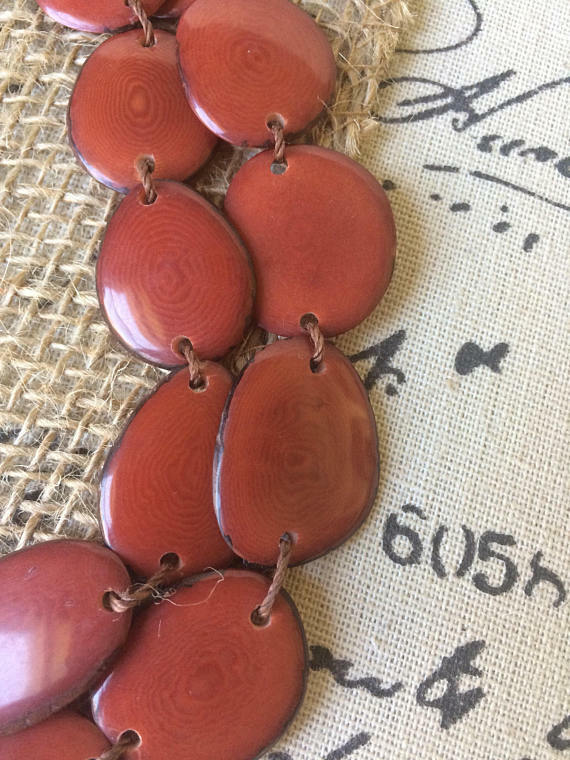 The dyes used in our jewelry are all organic.